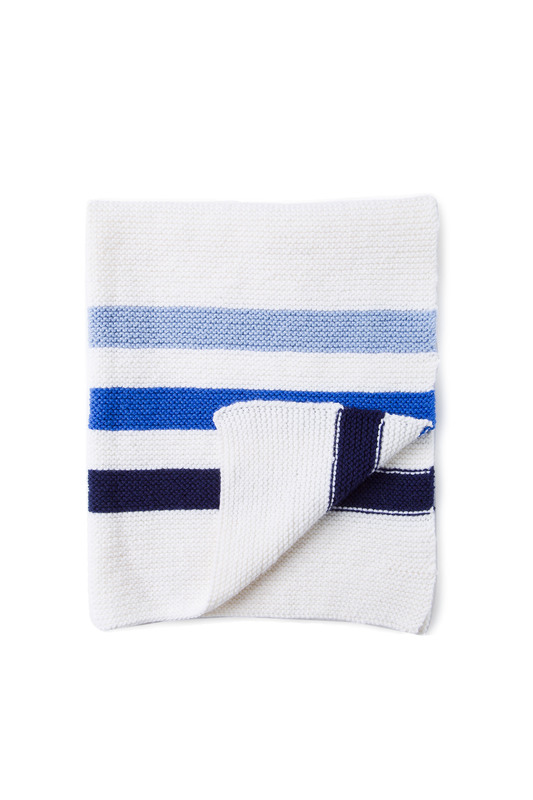 A baby can never have too many blankets for crib, carriage and playtime, and this one is very easy to knit in simple garter stitch with three cheerful contrast color stripes. Choose from Baby Smiles Merino Mix or Baby Smiles Bravo Baby, both are extra soft on your baby’s skin, chemical free and easy care, and come in a great range of colors for those stripes. One size approximately 23 ½ x 31 ½ inches (60 x 80 cm).